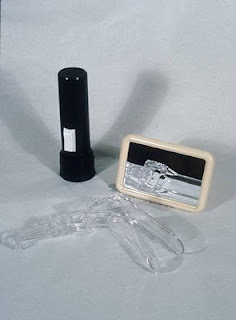 In 1971 a woman named Carol Downer took a speculum from an illegal abortion clinic in Los Angeles, went to her home and using a mirror and a flashlight, looked at her own cervix. She was the mother of six children, had had an illegal abortion and had never seen her own cervix. She saw where her babies had passed through, where her menstrual flow had come from, and what the doctors had commented on over the years. It was a very enlightening moment for her. What she did with that knowledge was revolutionary.